Oh my gosh. Where to begin? Okay, let’s keep this simple, with bullet points. 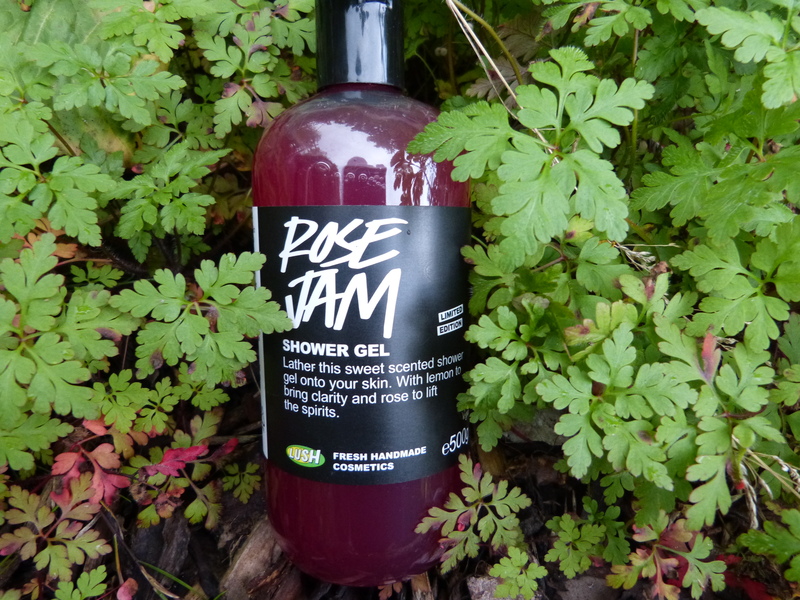 This has the scent of Rose Jam bubbleroon and Ro’s Argan Body Conditioner, two of my very favourite products from Lush. In case that doesn’t mean anything to you, it smells amazing. This is not old-lady-rose, and it’s not fresh-green-rose. This is sticky-sweet, sugary, almost cloying turkish-delight-rose, and it is heavenly. It smells good enough to eat. Don’t, though. Save it so you smell awesome. The scent is really long lasting, and actually has pretty good projection, so people will tell you that you smell nice. This stuff (and Ro’s Argan) is boy-nip. Seriously. They will fall at your feet on the street and worship you as a sweet-smelling goddess. Oh, and, um, it cleans you nicely, I suppose! It’s only available online, making that hefty Lush price tag even heftier, since there’s no free delivery option. It’s limited edition, and I can’t find any information as to how long it’s around for. It’s quite runny, and a couple of times I’ve used a little too much – no! My precious! Um, what are you still here for? Get over to Lush’s site now! Will you be getting hold of this, or did you read this entire thing shaking your head at my obsession? 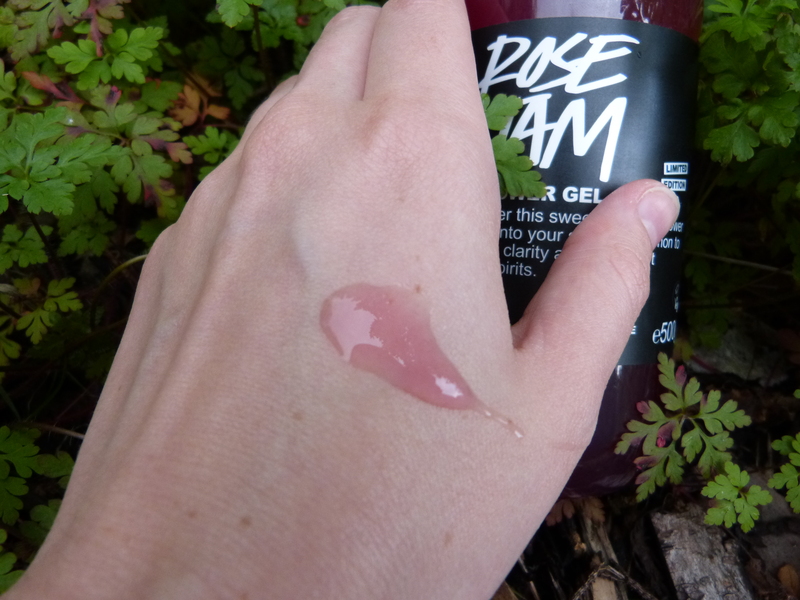 This entry was posted in Beauty and tagged beauty, beauty products, beauty review, ethical beauty, lush, lush cosmetics, lush ro's argan, lush rose jam, ro's argan body conditioner, rose jam, rose jam shower gel, shower gel, toiletries. Bookmark the permalink. Great post, I am addicted to Lush! You really do need it, it’s the best thing! “…gushing and full of superlatives” LOL that made me laugh. I can’t wait to get my hands on this! 😀 I’m hoping it speeds to you! I did not know they did a shower gel in this scent – you have seriously just improved my day!! I love this smell, I had the bubble bar in my room for a week before I used it and my room smelt amazing! It’s one of my favourite scents 😀 Glad you found out about the shower gel! Hey, in Australia, they sell it in the stores, lucky us! P.s what I would love is lush soap in this lovely scent for gift-giving!